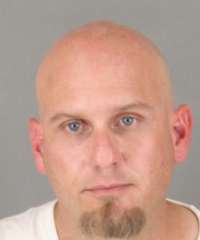 An El Cajon man was booked on burglary charges Tuesday after he was discovered with shaved keys, bolt cutters and a blow torch in his vehicle outside an industrial area where crime is on the rise, Murrieta Police said today. Michael Head, 32, was detained during a traffic stop at 1 a.m. near the area of Jefferson Avenue and Elm Street. A records check indicated Head was on probation and had a criminal history that included burglary and possession of stolen property. A check of Head's vehicle revealed the items, which are frequently used in committing burglaries and car thefts. He was booked into the Southwest Detention Center for possession of burglary tools and stolen property.